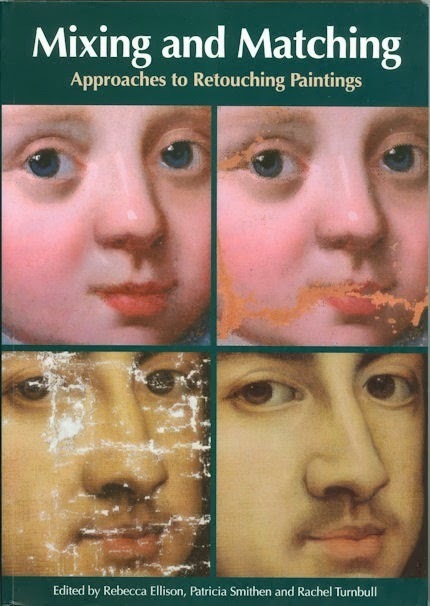 Review: Who Cleaned the Queen’s Windows and the Lady’s Pearls? 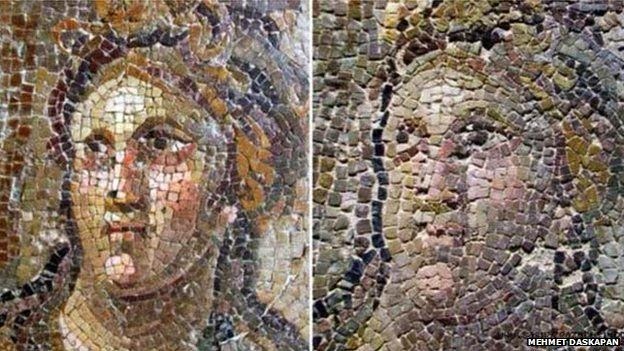 Listening to restorers it might never be appreciated that art conservation is now a massive and controversial vested interest, a big business with a perpetually shifting ideology that doubles as self-promotion. 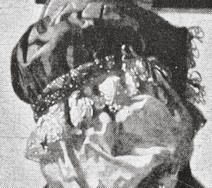 Chemical and other manufacturers promote their wares through restoration trade advertisements and fairs. There are substantial educational interests. Conservation training (degrees and doctorates are now given) converts arts and science degrees alike into hard job opportunities, increasing numbers of which are in the secure, superannuated public sector. 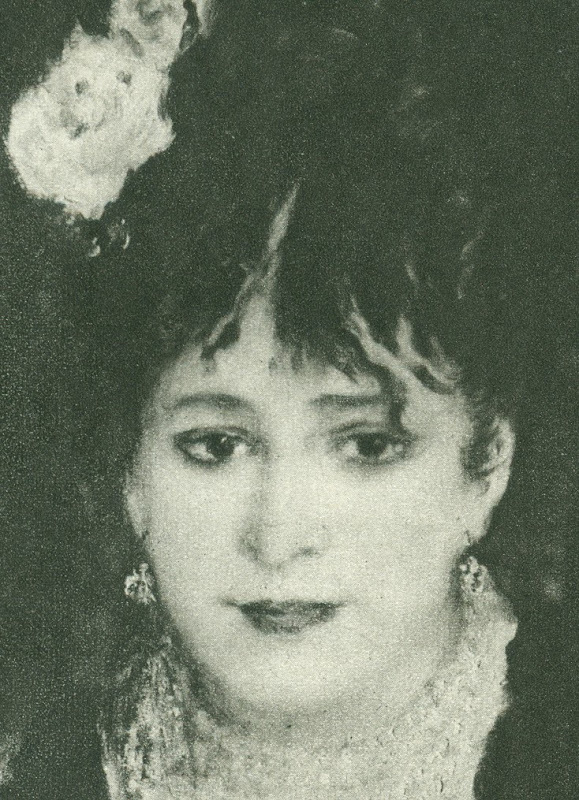 (On the content of conservation training, see Ruth Osborne and Einav Zamir below.) Every last little museum boasts or craves an in-house conservation department and all the technical paraphernalia that goes with it. 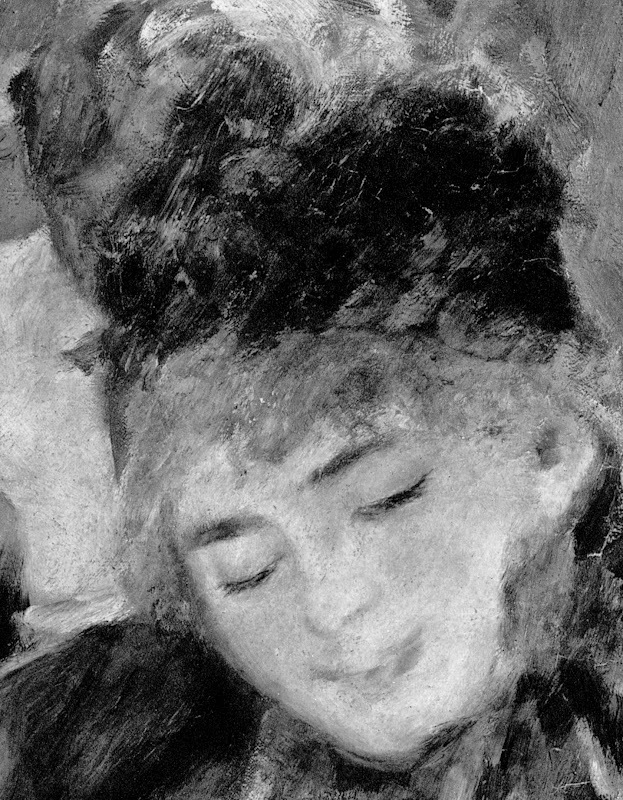 Sponsorship is easily attained – who would not want to be associated with saving art? 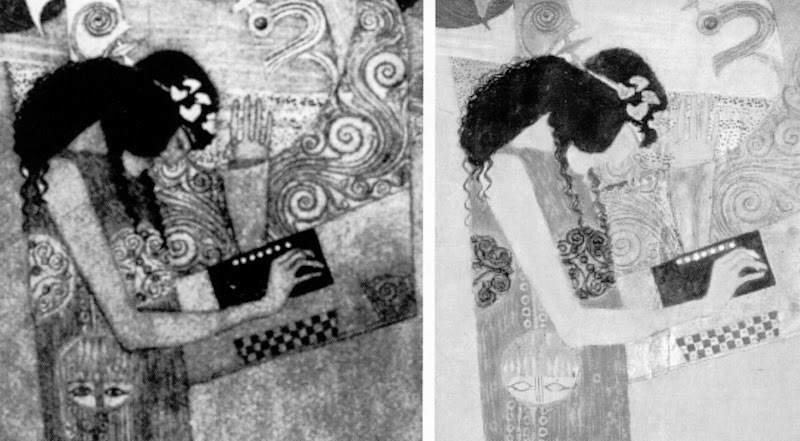 For petro-chemical giants sponsoring prestigious museum art conservation programmes makes particular image-improving sense. Development plans for museums are virtually guaranteed fund-raising success if an expansion of “conservation facilities” (along with “educational outreach”) is cited. 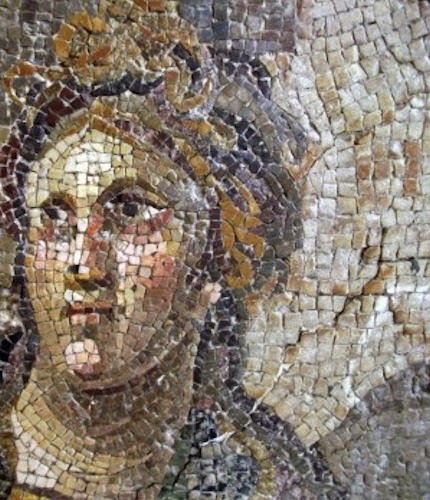 Listening to restorers it might never be gathered that regardless of good intentions, their “treatments” irrevocably alter both the material fabric and aesthetic appearance of works of art. The alterations that materialise are made on the back of promises to prolong life, prevent deteriorations and recover original conditions. The history of restoration repeatedly shows (see right) contrary outcomes and resulting controversies. 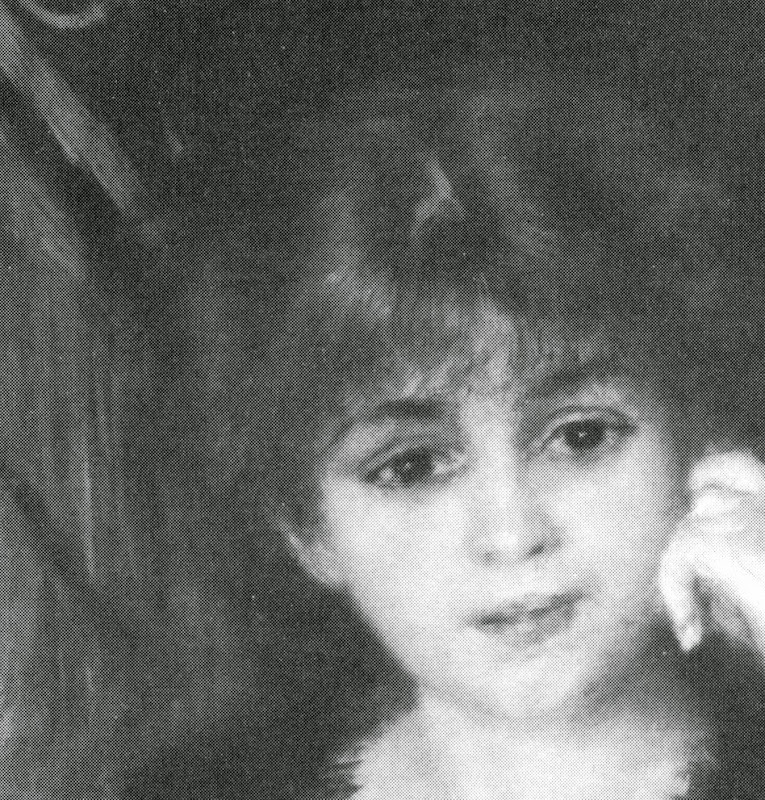 Throughout the twentieth century restorers have sought to convert public opprobrium into professional approbation by mimicking other professional forms – in particular those of medicine. The International Institute for Conservation (IIC) gives a biennial prize (The Keck Award – see our post of 8 January 2011) specifically for those considered to have best increased public appreciation of “the accomplishments of the conservation profession”. 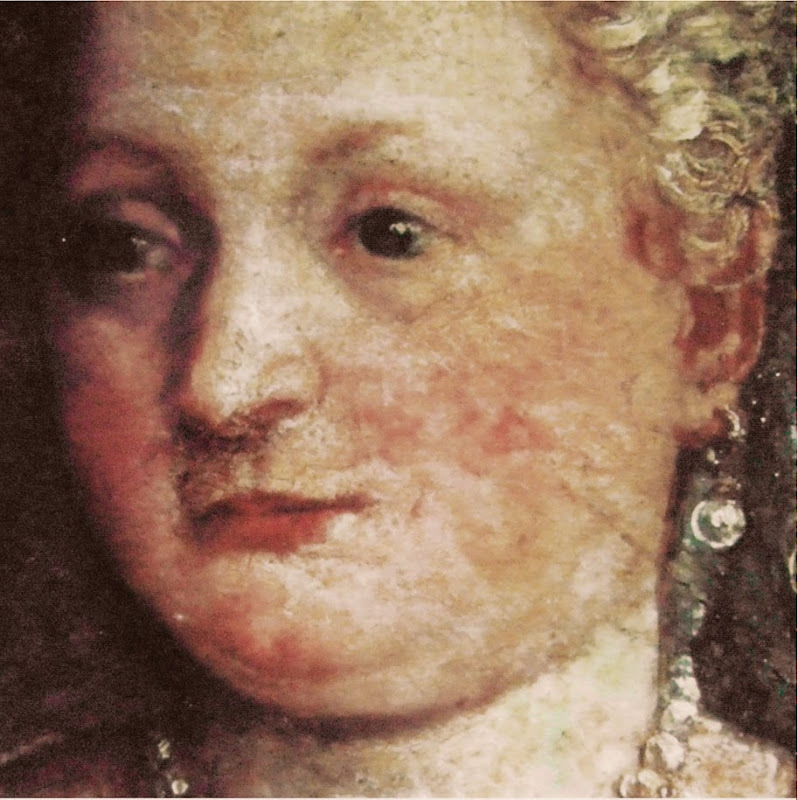 Acting directly on the late Caroline Keck’s advice, every conservator/restorer nowadays is his or her own cheerleader. 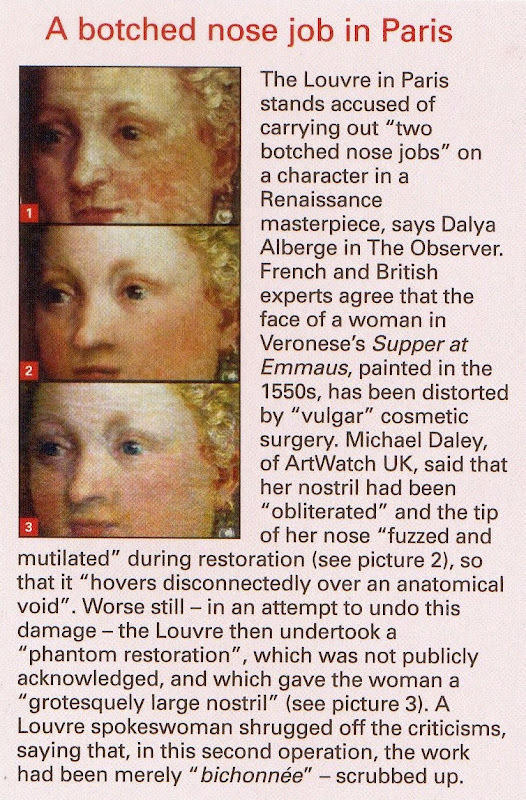 Not a word is said about the consequences of the restorations that the pictures on show have undergone. 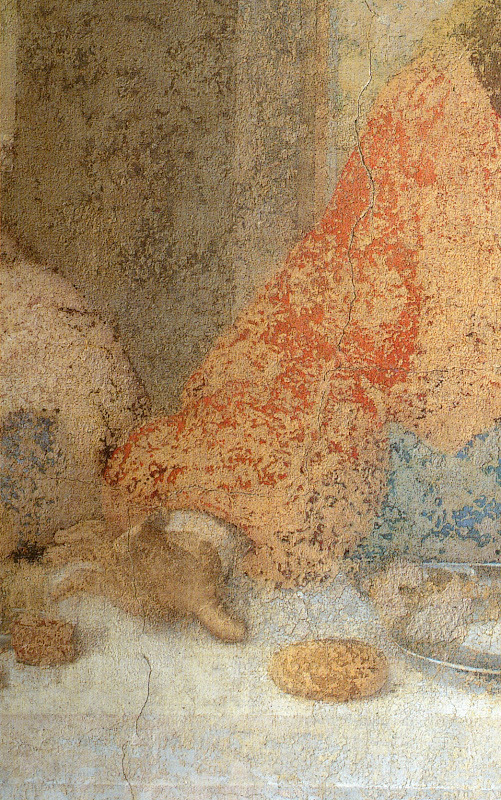 Blaming that artist’s technique while not discussing the material actions of restorers is an evasion and a slur. 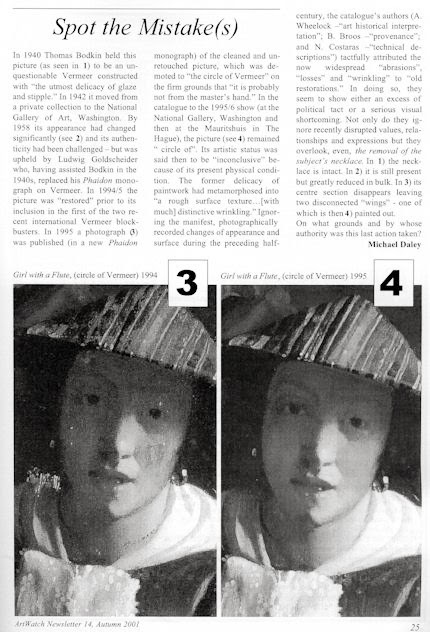 Insofar as conservator-restorers ever allude to restoration injuries, they euphemise them as “abrasions”, “rubbing” or “wearing” – as if, once upon a time, pictures abraded themselves. Where once-alike works are rendered unlike by restorations, blame is not attached to the agents of change. 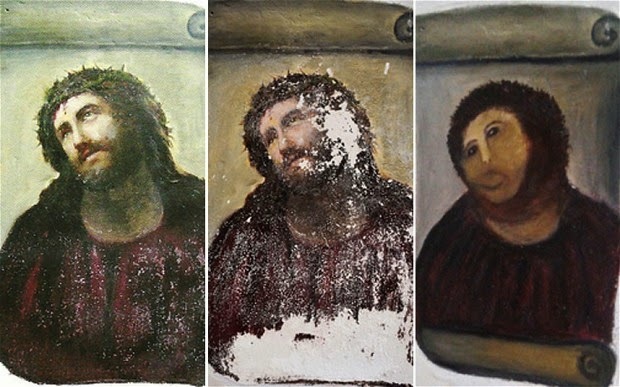 Instead, restorers opt see colourful diversity in works that now express not so much themselves but their “different conservation histories”. 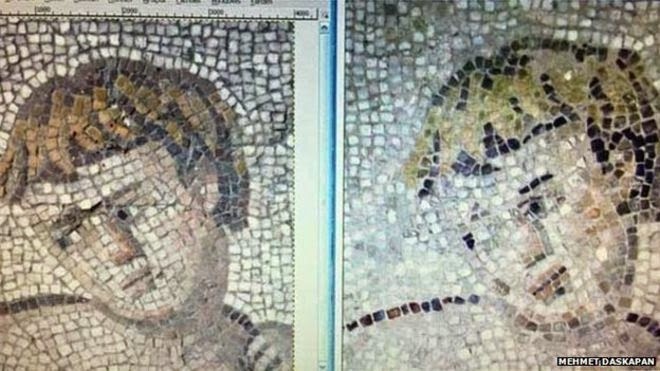 We maintain that restorers, who alone are licensed to act upon picture surfaces, should be held properly and fully to account for the changes they make. 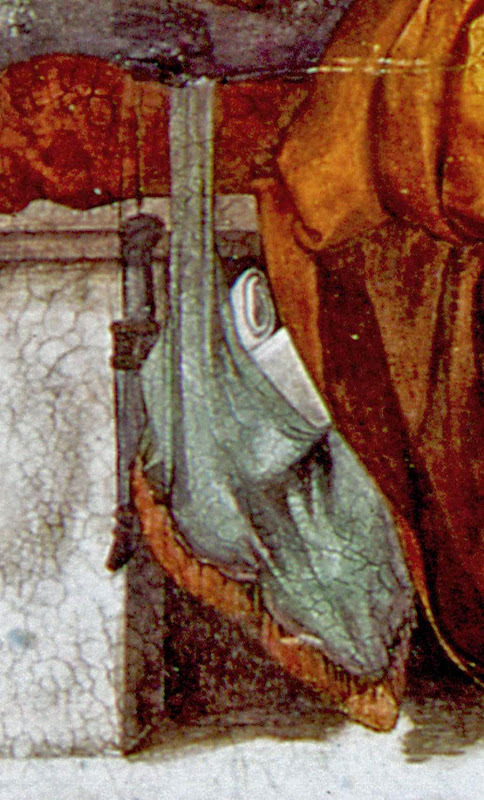 Two Vermeers in the two National Gallery show might serve as cases in point (see right). 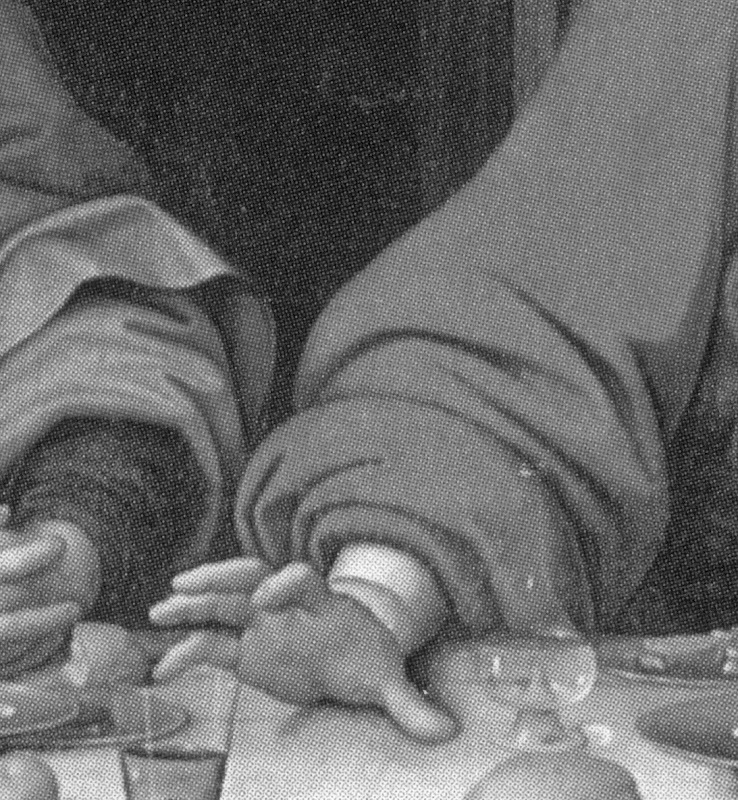 The National Gallery’s conservation dossiers (to which we enjoy full and helpful access) show that the gallery’s two Vermeer paintings have provided something of a playground for restorers. 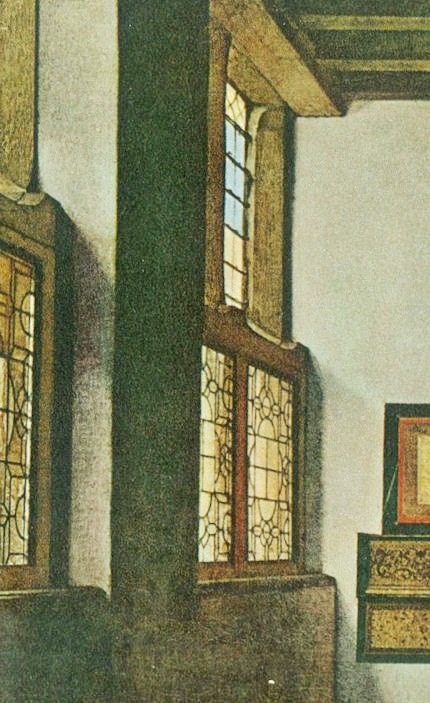 In the fifty years between 1945 and 1994, Vermeer’s poor “Lady Seated at the Virginal” received no fewer than nine bouts of “treatment” – including being lined twice within three years. 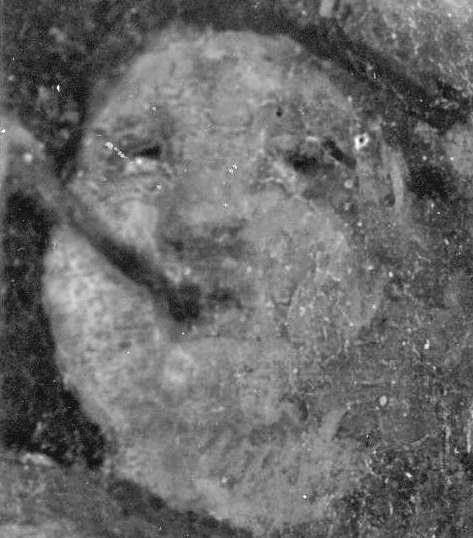 The last item of treatment (in 1994) was entered tersely into the conservation dossier as “Retouching in face and neck corrected (Bomford). Surface cleaned, revarnished”. No photographic record of this intervention was to be found. 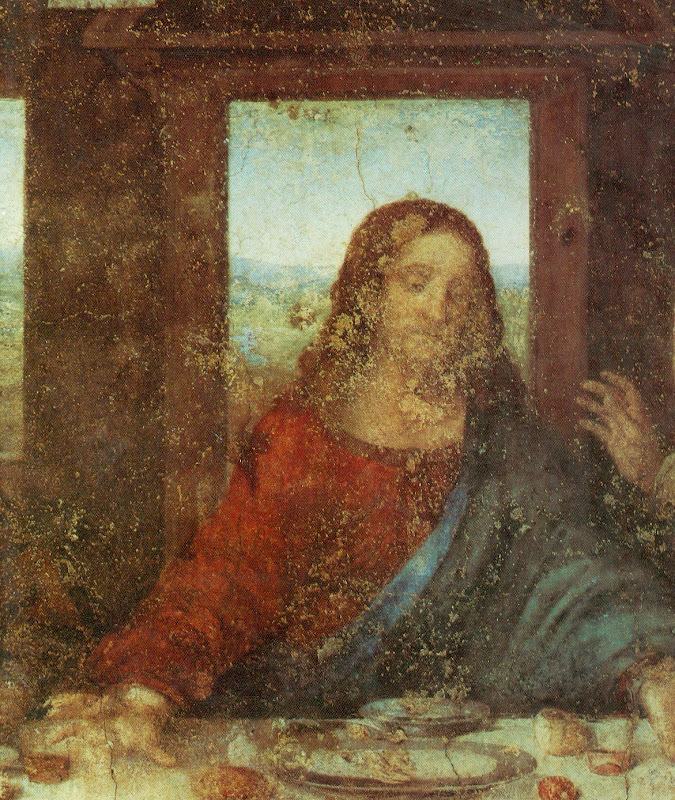 When we asked the restorer, David Bomford (who speaks today on “Three Days That Changed Conservation”), he said that this omission was because “there were no real changes – it was simply a matter of glazing a few small sections of the previous retouching which had discoloured slightly.” Such lackadaisical visual record-keeping is surprisingly common in venerable institutions. 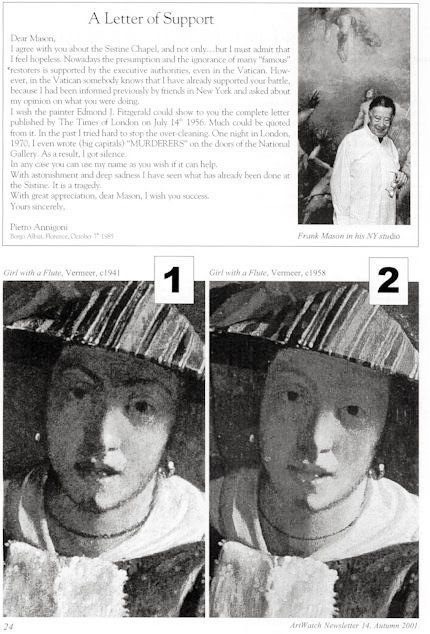 When our colleague, Michel Favre Favre-Felix, of ARIPA, noticed two unwarranted and bungled attempts to repaint a Veronese mouth and asked to see the Louvre’s documentation on them, he was told that none existed because the repainting was merely a “localised intervention”. 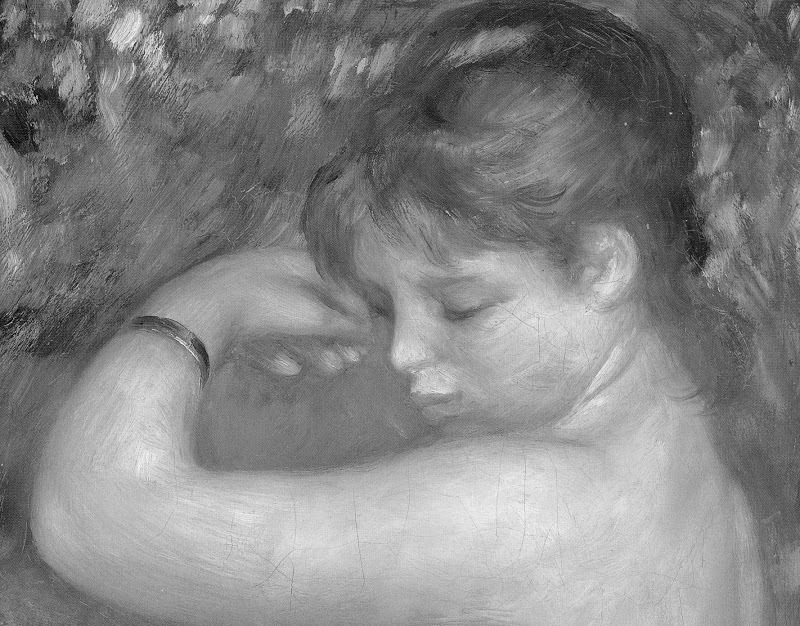 A Louvre spokeswoman later described it as a simple sprucing-up (“bichonnée”) and added triumphantly: “That’s why you cannot find it in the painting’s dossier”. Restorers wield many swords. 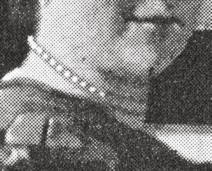 They repair and sometimes remove the backs of pictures. They apply “cradles” to the backs of panels and then remove them when they aggravate the conditions they were designed to prevent. They “line” extra, new canvas onto the backs of old paintings canvasses with glues, wax-resins, hot irons or heated vacuum tables. 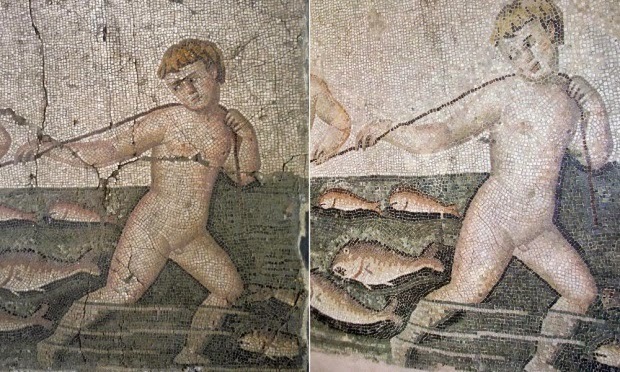 Where canvases are already lined, restorers strip off the earlier linings and then immediately replace them with new ones. 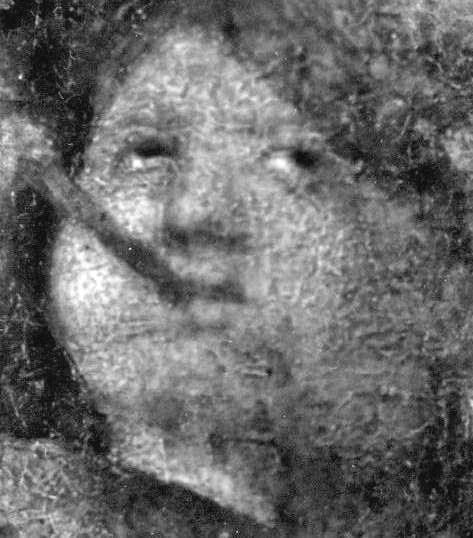 They strip down the fronts of pictures with a variety of methods and materials that are controversial within the profession itself – Richard Wolbers, a speaker at today’s conference, will talk on one such: “Aqueous Cleaning Methods in Fine Art Conservation: 1984-2014”. 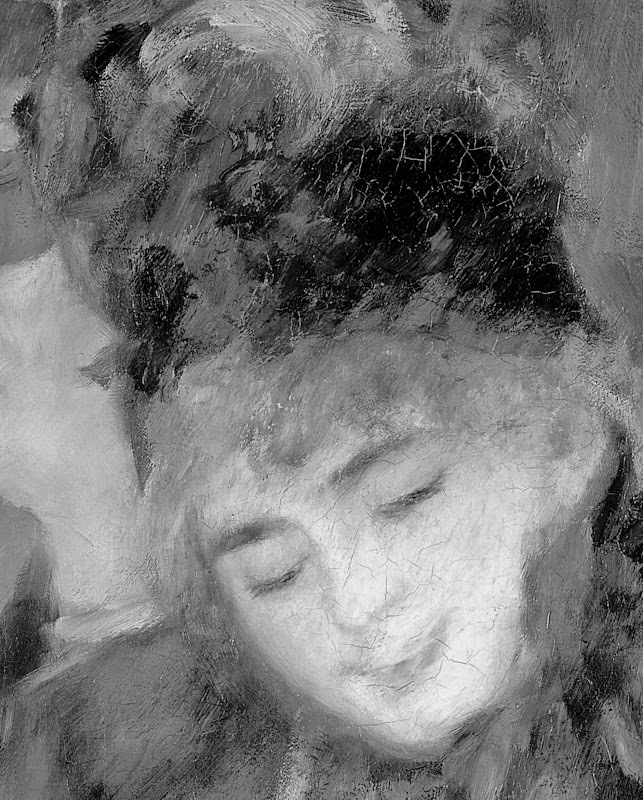 When the fronts of pictures are completely stripped down, restorers attempt to put them back together with their own additional painting…which future restorers will piously remove as alien accretions. 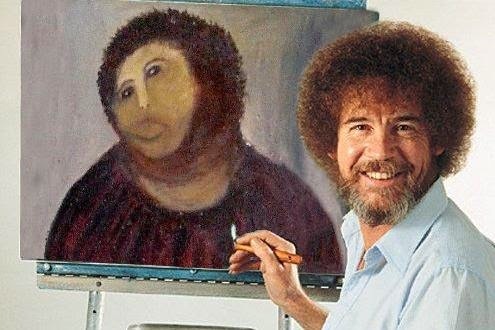 There has never been a make-work project like art restoration. Every aspect of it spawns multiple and international conferences. 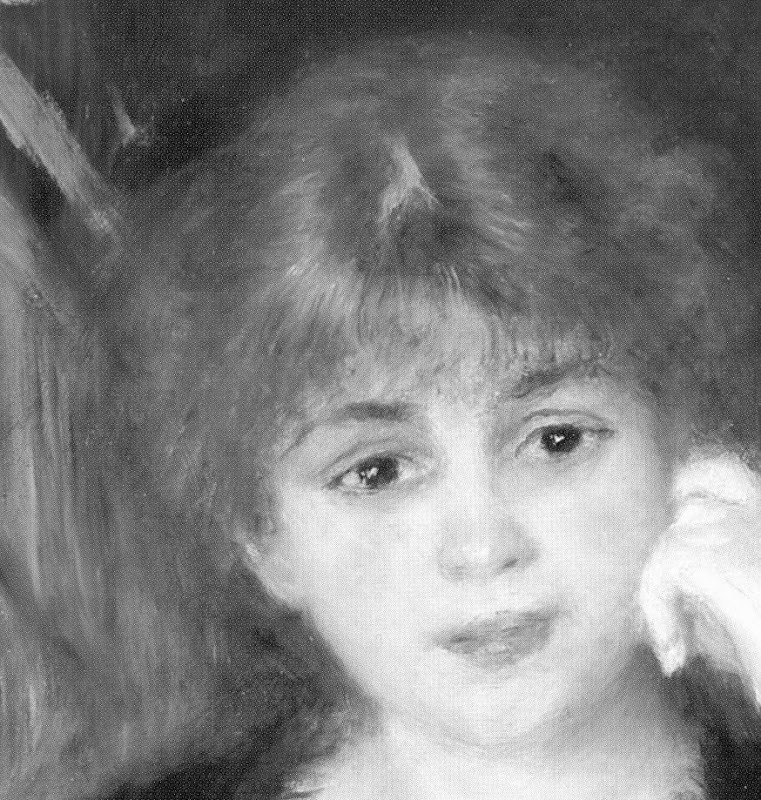 The artistically critical repainting stage of restoration is – for well-founded reasons – a source of intense anxiety not just to art lovers but to the practitioners themselves. The ICON/BAPCR conference/workshop series was conceived as “showcase” for the expert, and as a means of providing a “welcoming and supportive” environment to those wishing to learn by “listening and looking (in the morning lecture series)” and by “doing (in the afternoon practice sessions”. By all accounts, the symposia exceeded expectations and very jolly times were had in the packed lecture theatres and demonstration galleries and workshops. 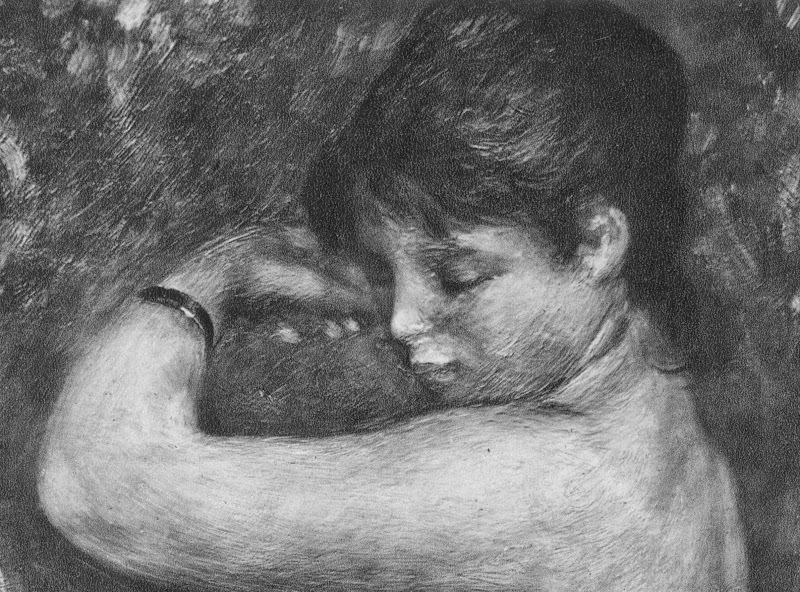 This professionally successful format had precisely been devised for encouraging discussion and sharing experiences between those practitioners who are presently “locked in a retouching rut”. 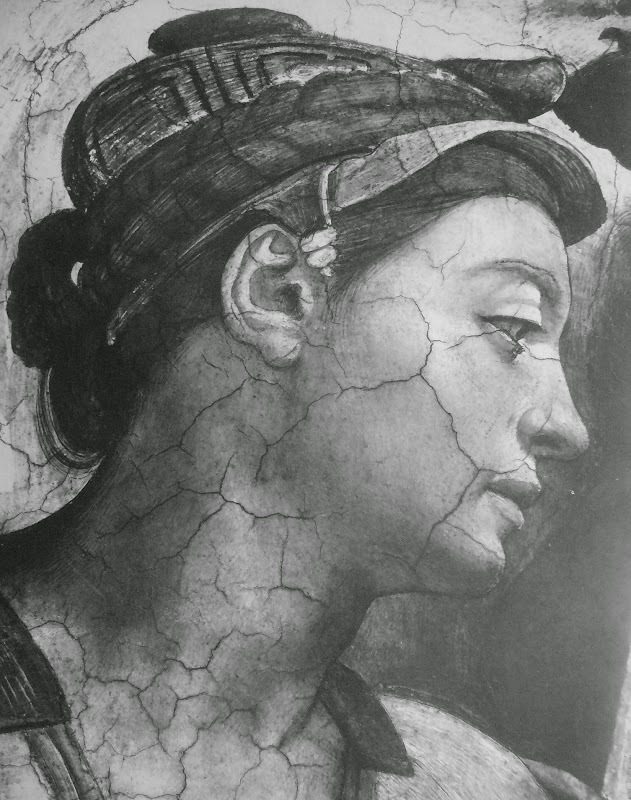 Some years ago we were assured that while our criticisms of the National Gallery’s restoration practices were sound, we were being inadvertently unfair to the high standards of expertise then prevailing in the commercial sector that served the art trade. In support of this claim, we were taken to a top-end restorer’s studio to see a client’s work in the course of treatment. 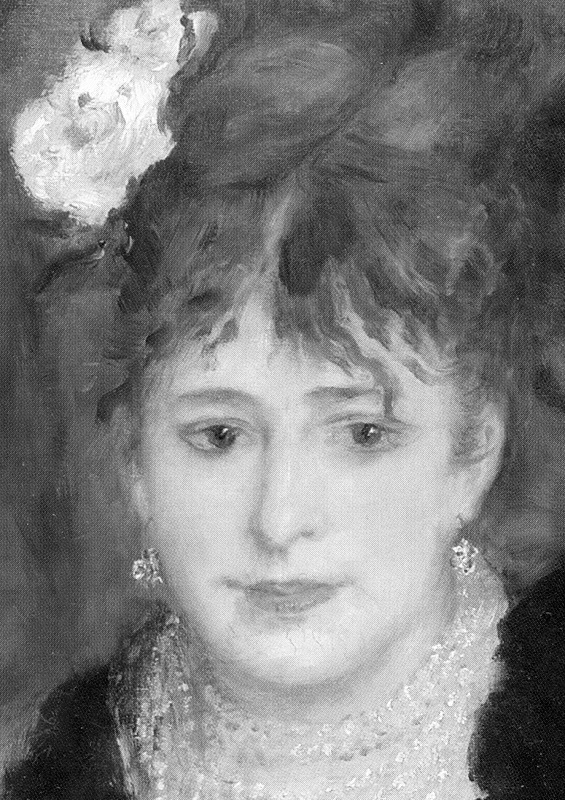 The painting concerned was an early portrait which had lost all colour in the flesh tones. Its high-born subject had just received a revivifying application of pink glaze to the cheeks. 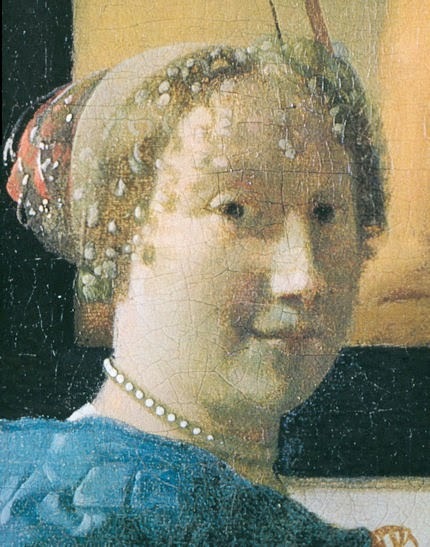 When we expressed concern about this palpably alien patch of glaze which had passed without modification from cheek to cheek across the bridge of the nose, the conservator-restorer was unfazed: “That’s no problem – it’s easily reversible. I can do it again”. 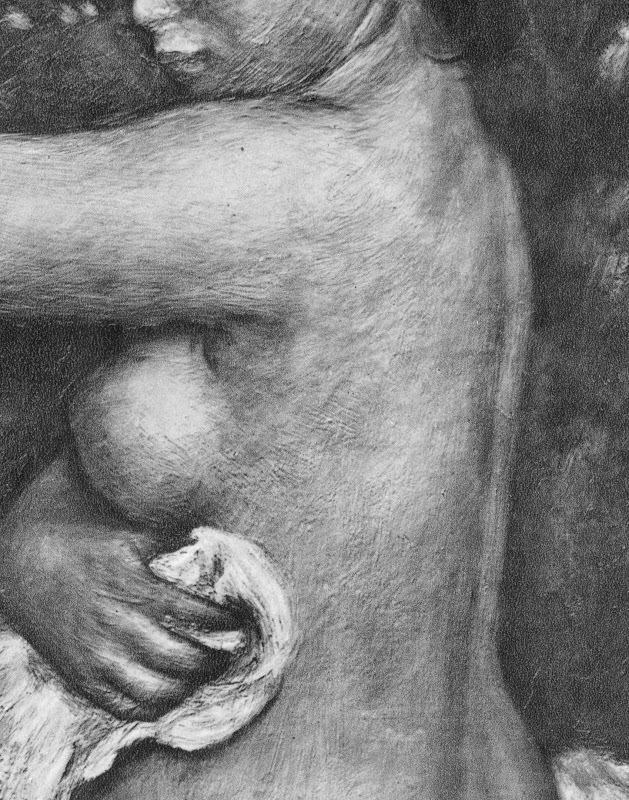 In an ante-room a young restorer was retouching holes in a cleaned landscape by Laura Knight, RA, on the testimony of a black and white photograph of the painting taken before the restoration began with the removal of varnish. 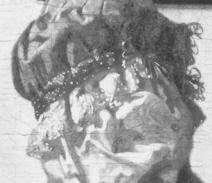 Retouching is made necessary whenever varnishes and earlier retouching are removed. 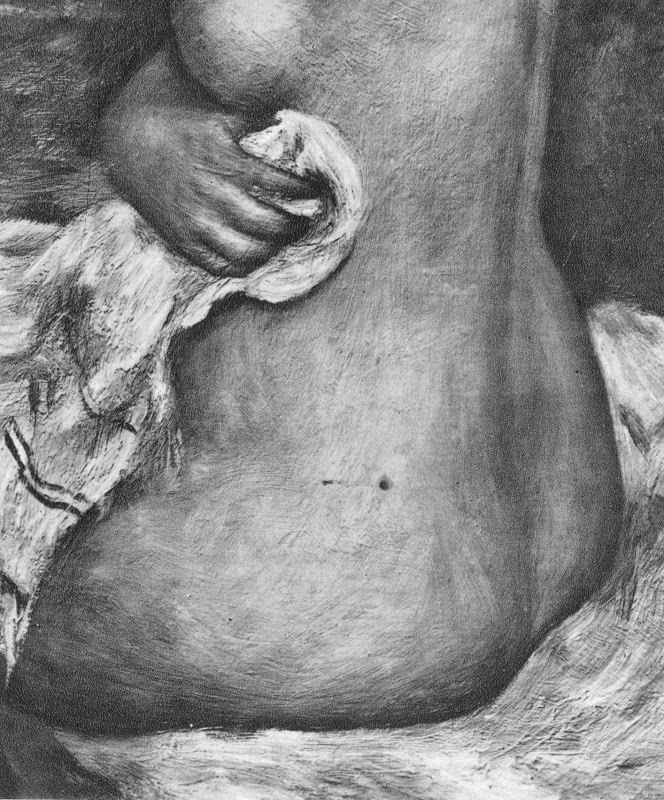 Varnishes are removed for the “offence” of having discoloured – when that is their nature, they cannot, as artists recognise, do otherwise. New varnishes are then applied which will in turn discolour (and worse, if they are synthetic, not natural) and then be removed in turn. On this merry-go-round of undoing and redoing, a little bit (or more) paint is lost each time to the restorer’s solvents and abrasive swabs, and a little bit (or a lot) of new paint is then added. 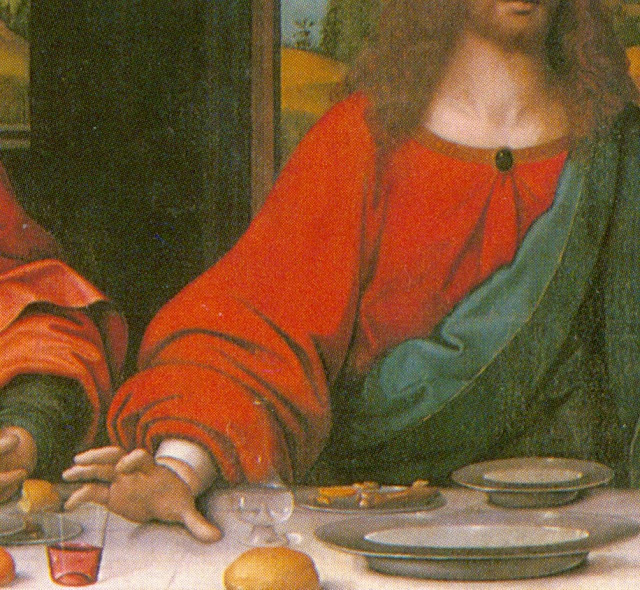 What is conspicuous about these supposed and claimed recoveries of “original” conditions is that no “restored” painting ever returns to its previous state, when last restored. 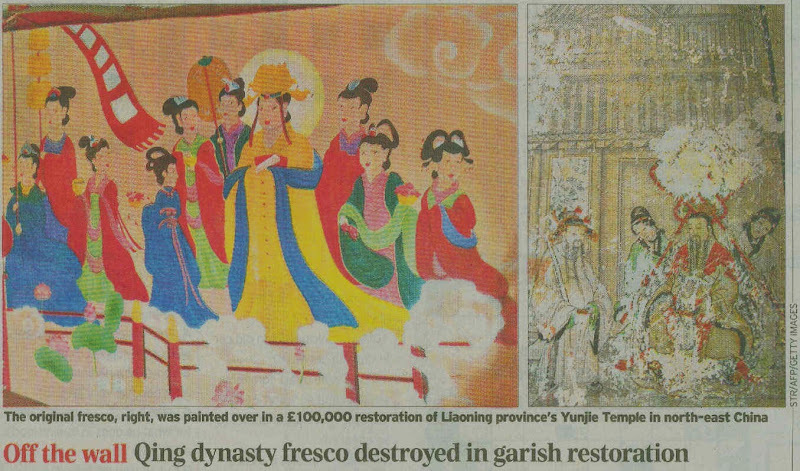 Each restoration introduces a further, compounding change that falsifies the original work in a game of artistic Chinese Whispers. 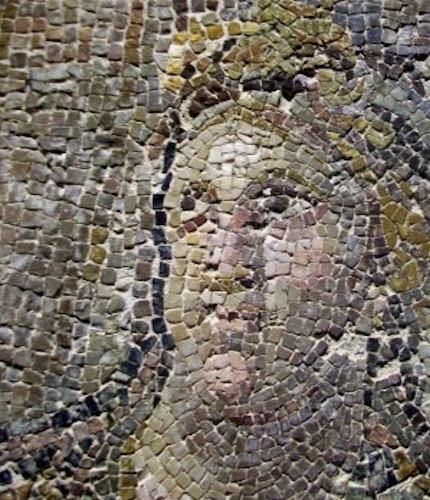 Rare works that have escaped repeated restorations are highly prized and at a commercial premium. 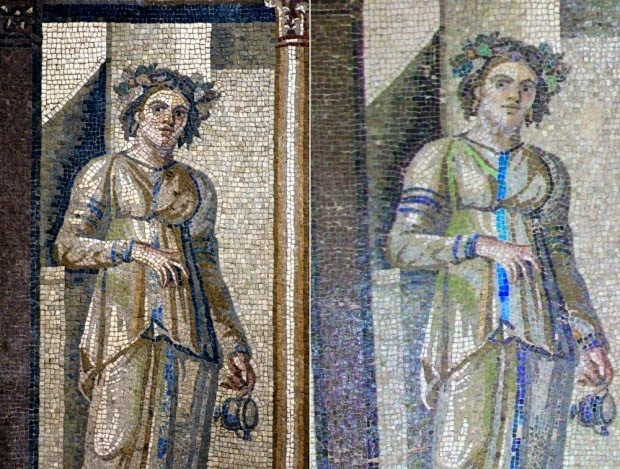 Restorers, however, are unfazed by the falsifications that they introduce, and at the top end of the museum trade such idiosyncratic “interpretive” impositions on unique historical artefacts are positively celebrated. 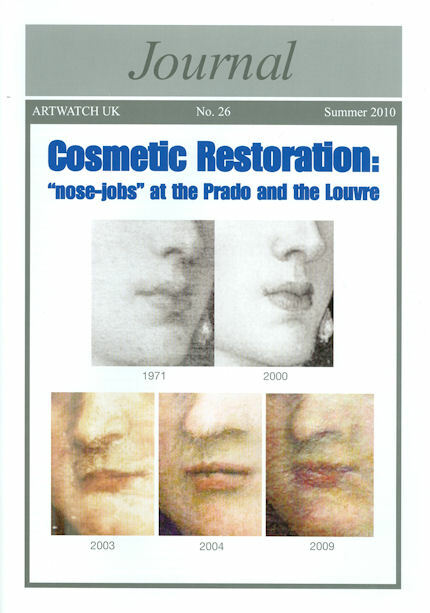 In the National Gallery’s pocket guides “Conservation of Paintings”, its former senior restorer, David Bomford, acknowledges that pictures are now “changed primarily for aesthetic reasons” (p. 53) and that restorations are carried out on the “aesthetic objectives of those responsible for the cleaning” (p. 45). 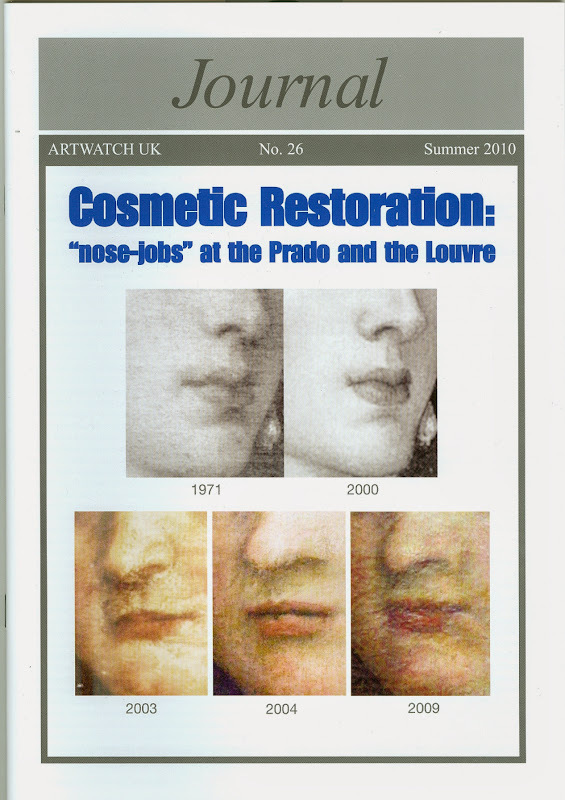 Moreover, although the “different aesthetic decisions” taken by individual restorers produce results that “may look very different”, all such different outcomes are “equally valid”, provided only that they have been carried out “safely” (p. 53). These claims are alarming and might be thought intellectually naïve: in matters of aesthetic and artistic integrity, the “safety” or otherwise of the cleaning materials is a red herring. If pictures end up looking different it is because they have been made (irreversibly) different. 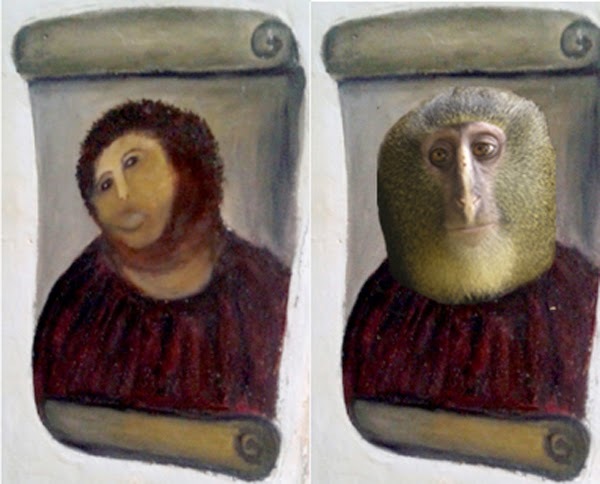 Restorers should be given no blank professional cheques. No less than bona fide creative people like artists, writers and musicians, they should be subject to critical scrutiny at all times. *Mixing and Matching ~ Approaches to Retouching Paintings”, Eds. Rebecca Ellison, Patricia Smithen and Rachell Turnbull, Archetype Publications Ltd, 2010, ISBN: 978-1-904982-25-0. 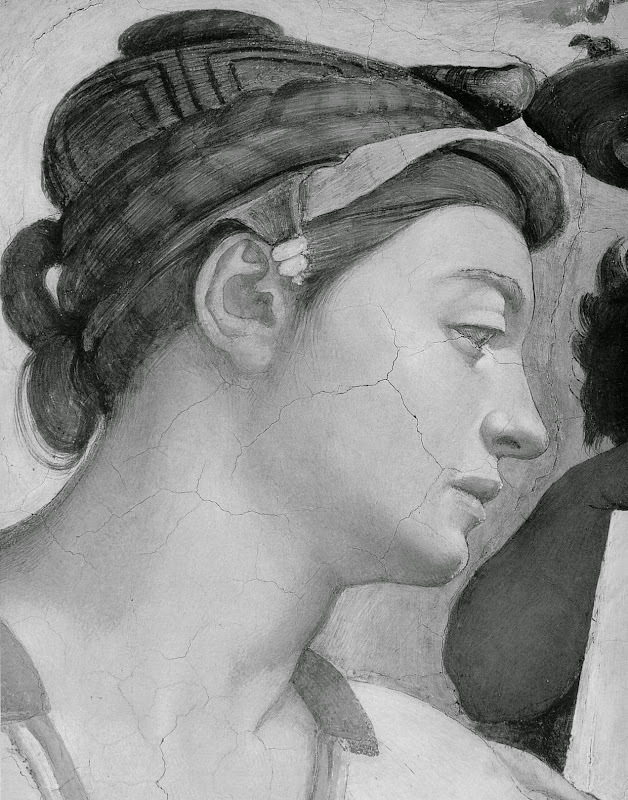 The Education of Art Conservators – Examining the Field at its Foundations: Do university programs provide sufficient training? 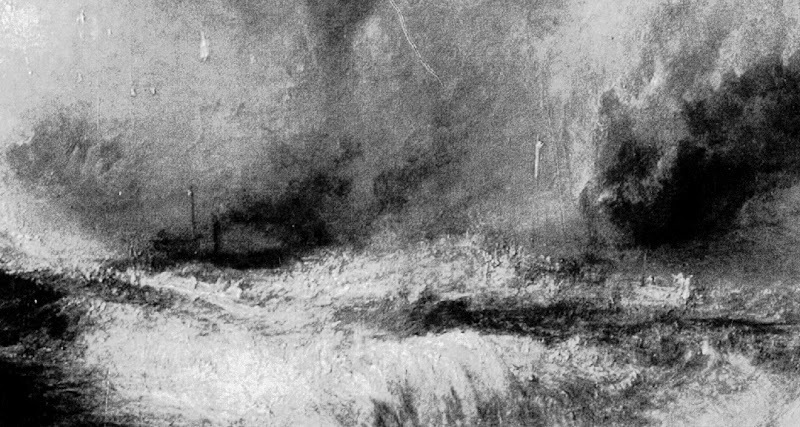 Changes made when repainting losses can be immense and perplexing. What accounts in the above “Mix and Match” face for changes to the already-cleaned state that preceded the “infilling”? 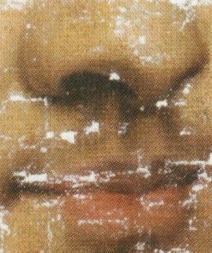 What lightened the post-cleaning flesh tones and sharpened features like the nose, which acquired a highlight? 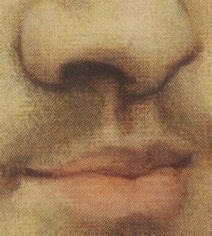 What gave rise to the curious little groove that turned the downwards curving nostril apperture upwards? 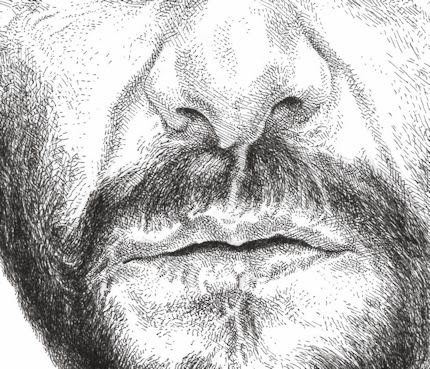 Do today’s restorers comprehend the anatomical genesis of the immensely elusive complexities of nose/mouth relationships that tax even graphic artists working from photographs of the subject (as in the author’s drawing below)? 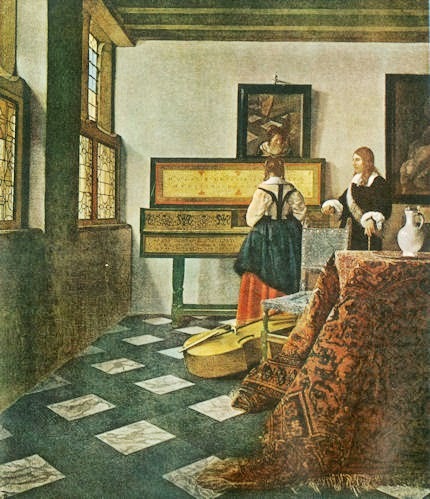 Above Vermeer’s The Music Lesson, which has been loaned by the Queen to the current National Gallery show, as recorded in 1942 (top) and as today, above. 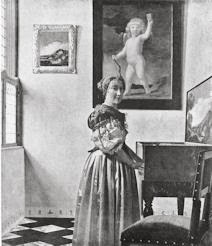 Photographs and photographic reproductions can vary but what reproductive variations might account for the diverse changes in this painting? Formerly the glass on the windows was distinctly coloured – yellow throughout in the lower band, and yellow and blue in the upper window. 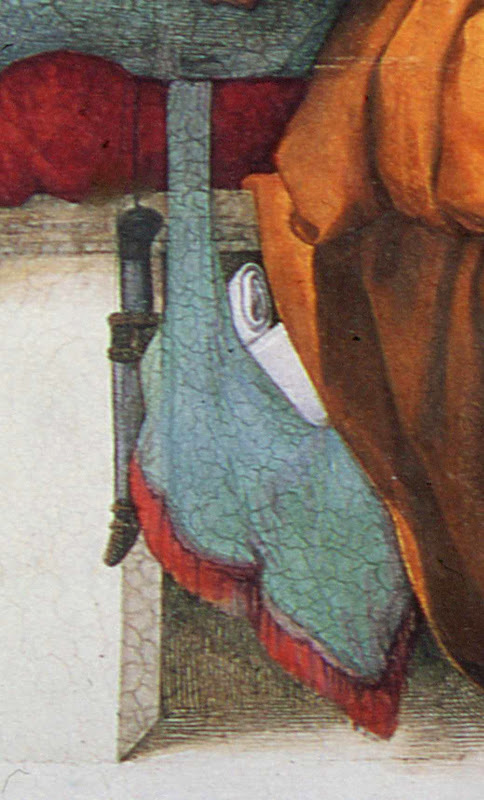 One of the light tiles (adjacent to the viola da gamba) had a distinctly blue cast, as if from the window. After cleaning, as seen more clearly in the details below, all of the glass in the upper window now looks clear, and the ceiling beams and window sashes all look less substantial and structural through the solvent-induced debilitation of their former tone/colours. Bizarrely, the shadowed side of the rug has acquired intensely bright blues. 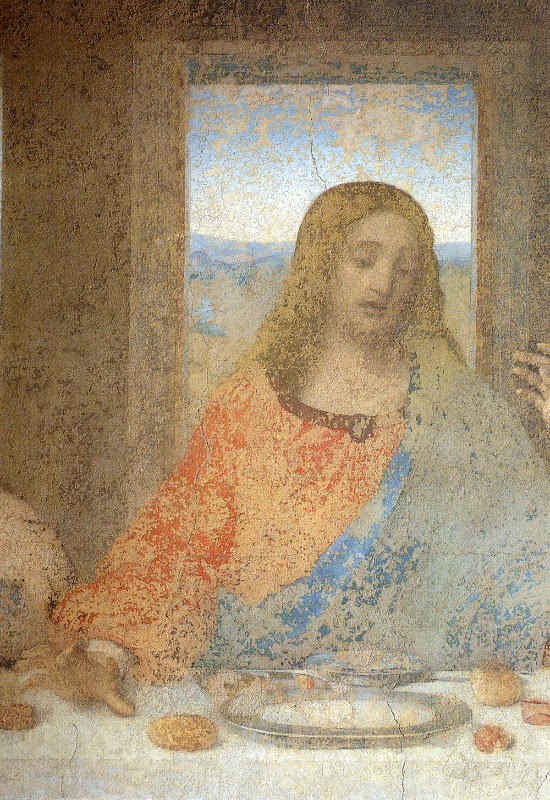 If the picture is now as originally painted, by what magical powers had a discoloured varnish imparted passages of blue and yellow in precise accord with the window’s glazing bars and beefed up the room’s architectural elements? 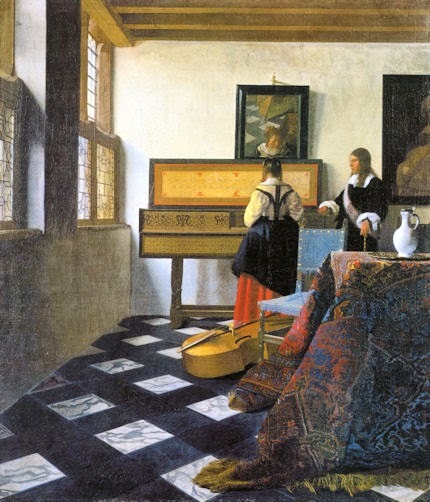 The Vermeer scholar Arthur Wheelock says of the lighting in this room: “From the shadows of the leading in the glass on the window frames to the multiple shadows on the sunlit wall behind the mirror or virginal top, [Vermeer] convinces the viewer of the flow of light into the room. 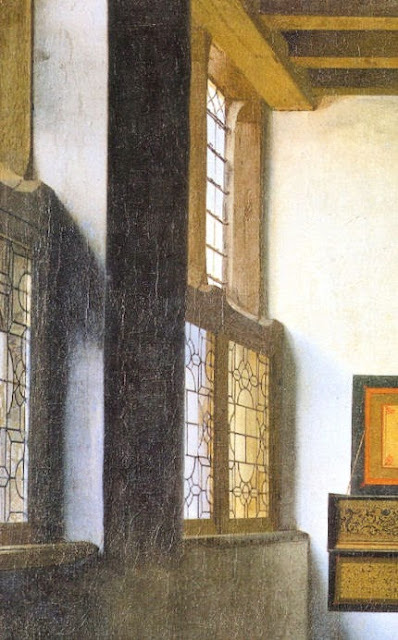 Upon examining these light effects, however, one realizes not only how carefully Vermeer observed its various characteristics, but also how he used them selectively and creatively…” (Vermeer and the Art of Painting”, 1995.) All perfectly true, but those values are no longer what they once were. Should we not notice? Should we not care? 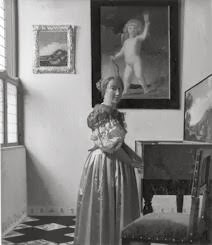 The National Gallery’s Vermeer, A Young Woman standing at a Virginal, is shown below in the late 1930s (on the left) and (on the right) as today. 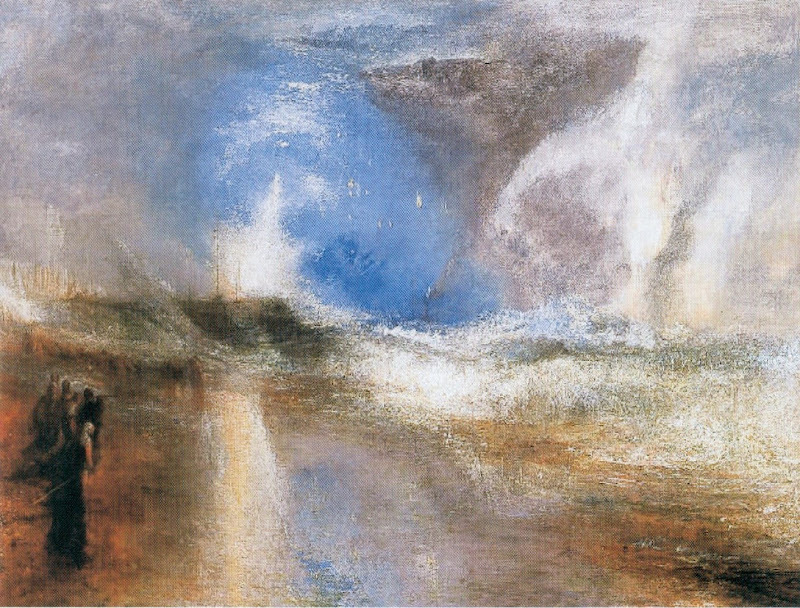 As so often, we find the not-yet-restored work more vivacious in its tonal values, which values brilliantly create a lucid and coherent spatial arrangement in which primacy is given to the central figure. In today’s condition too many values are diminished and conflated. 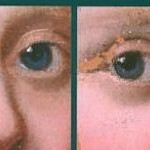 On the face, (absolutely typical) restoration losses of the modelling that formerly had properly set the eyes in the head, have given undue emphasis to the irises and pupils and resulted in a “piggy” apearance. 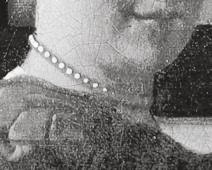 One consequence of the loss of glazes to which Mason referred is that the solid reflective lights of the pearls in the necklace are becoming ever more isolated from the paint which once conferred form to them. 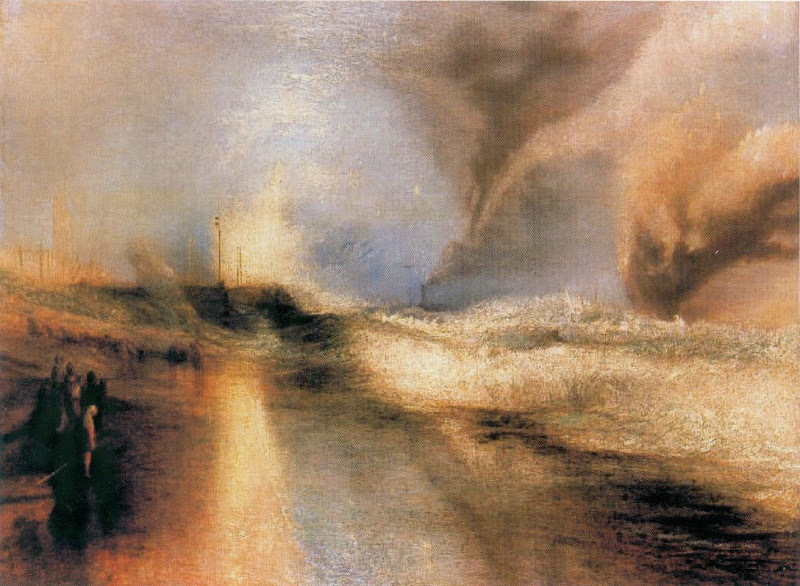 We have come to suspect, from the silence that greeted our complaints in the Autumn 2001 ArtWatch UK Journal against the butchery inflicted on the painting below, that scholars may have fallen too deeply into a dependency culture with the conservators – whose “findings” they routinely transmute – ever to complain about injuries to the modest stock of Vermeer paintings.